Are you interested in music management in the 21st century? While you may have the inclination to manage a modern musical act, you may not have the stomach to leap into the arena of endless legal disputes. This aspect of the music business has only grown more contentious in recent years. If you have been paying attention to the recent battle in the music industry over artist placement on Spotify, you have no doubt noticed that the main source of the dispute is royalty payments. Artists can achieve more exposure in a shorter time, but at the seeming sacrifice of actual financial compensation. Hundreds of millions of people access the world wide web on a daily basis. Of these millions, many are searching for new music to entertain themselves with. So far, so good, but how much of this browsing actually translates into meaningful exposure for the artist? Music managers, such as Coran Capshaw and others, have been laboring for some time to get better royalty rates for their artists. This is a battle that rages with especial force in the realm of mass music streaming sites, such as Pandora. It's one thing to get one million plays, but how much does this translate to in royalties? Perhaps the main issue is one of substance versus style. It's a great thing to have millions of downloads and streams to your credit. But at the end of the day, how much money has your artist made? And how much of what your artists have made finds it way into your own bank account? Artist managers, such as Capshaw among many others, have found the age of the internet to be simultaneously liberating and frustrating. The web has certainly taken the exposure of artists to a whole new level, but at the cost of rendering them almost too accessible and common. As a result, finances have suffered. Is It Possible to Find a Balance Between Accessibility and Commercial Value? The question that keeps coming back to haunt artists, managers, and consumers alike is one of basic commercial integrity. Is it possible to find the magic median between making your music as widely available as possible and still getting paid a fair price for it? Can you make your music available to stream for a reasonable price, yet still be able to enjoy a comfortable lifestyle on the proceeds? Many artists have been forced to forgo releasing new music in any form because of the essential lack of financial return for doing so. 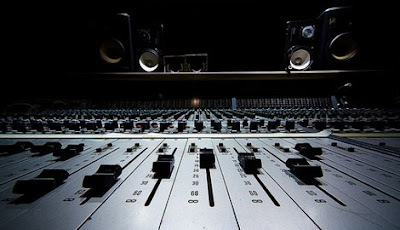 As a result, recording has become a restricted medium for many musicians. It certainly remains true, and will for many years to come, that the internet is the most relevant venue for artists and managers alike. However, it remains to be seen whether the change in emphasis that mass exposure brings with it will continue to affect the industry in a largely positive way. As things stand, there still remains a serious divide between exposure and financial feasibility that needs to be somehow bridged. This is a question that will continue to haunt the industry with no solution in sight.